The Notre Dame Cathedral Paris or Notre Dame de Paris (‘Our Lady of Paris’ in French) is a Gothic cathedral on the eastern half of the Île de la Cité in the fourth arrondissement of Paris, France. Notre Dame Cathedral of Paris has a grand main entrance which opens up in the west. It is the cathedral of the Catholic archdiocese of Paris: that is, it is the church that contains the “cathedra”, or official chair, of the Archbishop of Paris, Andre Cardinal Vingt-Trois. Notre Dame Cathedral is widely considered one of the finest examples of French Gothic architecture in Europe. It was restored and saved from destruction by Eugène Viollet-le-Duc, one of France’s most famous architects. The name Notre Dame means “Our Lady” in French, and is frequently used in the names of Catholic church buildings in Francophone countries. 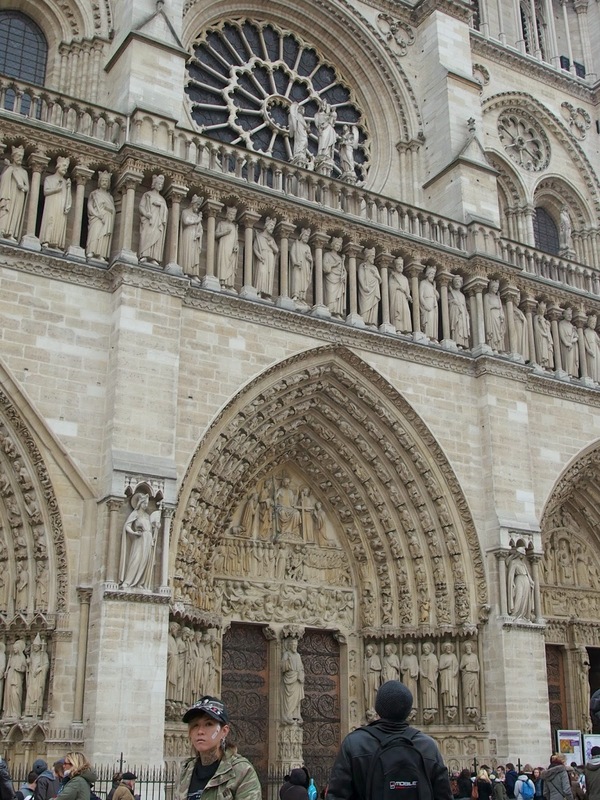 The Notre Dame Cathedral Paris was among the first buildings in the world to use the flying buttress (arched exterior supports). The building was not originally designed to include the flying buttresses around the choir and nave. After the construction began and the thinner walls (popularized in the Gothic style) grew ever higher, stress fractures began to occur as the walls pushed outward. In response, the cathedral’s architects built supports around the outside walls, and later additions continued the pattern. Paris’ Notre Dame Cathedral is arguably the most stunning gothic cathedral in the world – and is undoubtedly the most famous of them all. Conceived in the 12th century and completed in the 14th, Notre Dame Cathedral was the very heartbeat of medieval Paris. After long a period of neglect, it finally recaptured the popular imagination when 19th-century writer Victor Hugo immortalized it in “The Hunchback of Notre Dame”. The iconic gargoyles and chimera that adorn the Notre Dame were built in the 19th century by Viollet-le-Duc. Now, they are some of the most famous things about the cathedral, however, the original purpose of the gargoyles was for the drainage system. Because they extend so far out of the wall, they were built into the ends of the gutters, with big round holes as mouths, to drain water away from the sides of the building preventing water damage. The chimera, on the other hand, were purely decorative and sit on a ledge surveying the people of Paris below. The Great Organ was installed in the 13th century and has five keyboards, 190 ties and 8000 pipes. Unsurprisingly, it’s the largest organ in France and the most famous organ in the world and has undergone countless restorations and improvements. It’s still used to this day in Sunday services, drawing in international organists to perform, as well. Attend a service in Notre Dame. Pretty self-explanatory, but definitely a unique experience for sure. To attend services, take any seat in the nave or in the choir at least 10 to 15 minutes before, for Sunday services. Participation in liturgical celebrations is open to the public and free of charge, it is not necessary and not possible to make a reservation. All the services are in French, but the 11:30am mass on Sunday is the international Mass whith part of readings and prayers in english. There’s no service only in english at the cathedral. Note that the celebration of Sundays and solemnities begins the evening before, in accordance with the old Biblical calendar’s practice of days beginning the prior evening. Notre Dame’s dramatic towers, spire, stained glass and statuary are guaranteed to take your breath away. Dig deeper in the archaeological crypt. Climbing the North tower to get a gargoyle’s perspective of Paris is a must, too! For a look at the upper parts of the church, the river, and views of Paris, climb the 387 steps to the top of one of the towers. 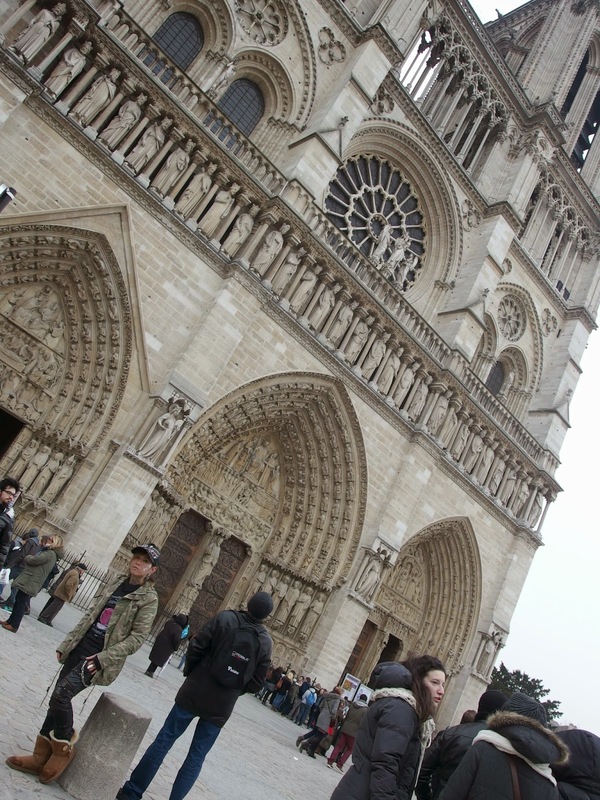 The south tower holds Notre-Dame’s 13-ton bell, which is rung on special occasions. The cathedral is centrally located on the Ile de la Cité, the area of Paris that divides the city’s right and left banks. The Ile de la Cite is surrounded by the Seine River. Lord forgive me for I have sinned. If this will atone for my mistakes, let me share your splendor by spreading the holy word – all this in your good name, amen. 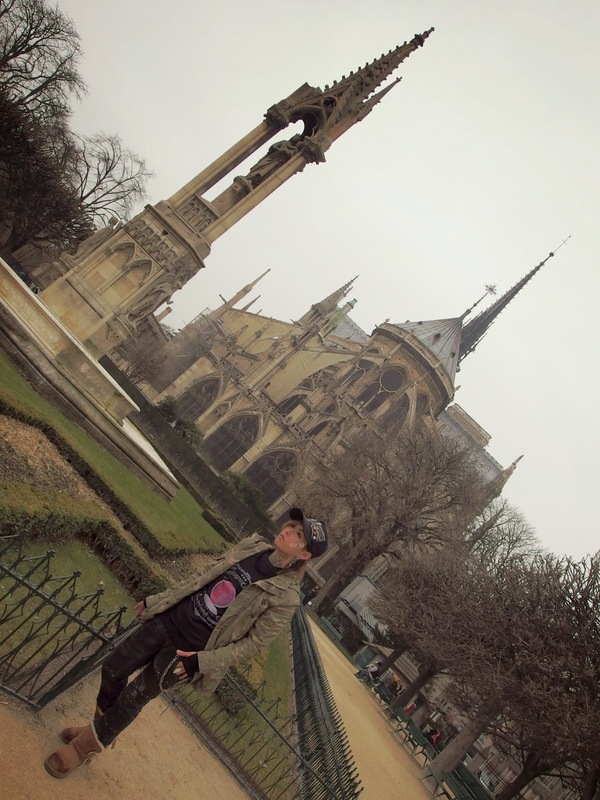 To see the rest of the pictures and for a complete history of Notre Dame de Paris, click “Read more”! 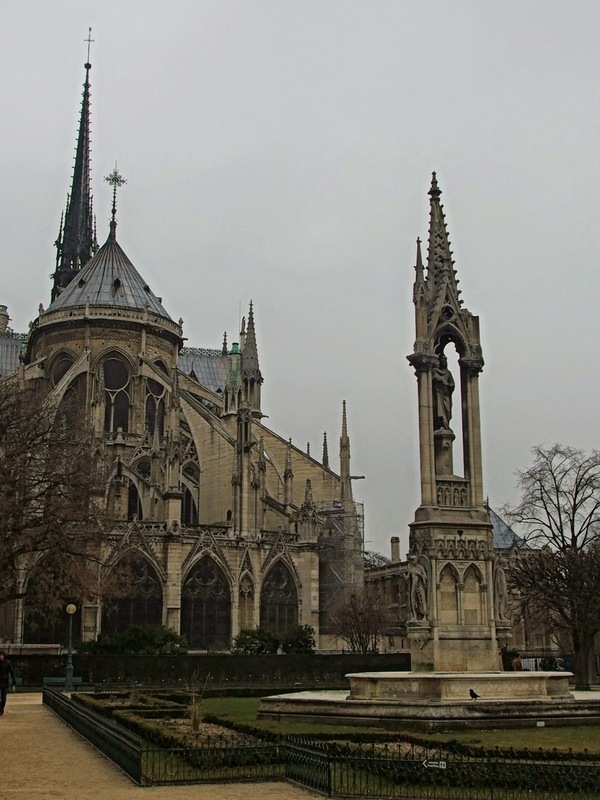 The Gothic loftiness of Notre-Dame dominates the Seine and the Ile-de-la-Cité as well as the history of Paris. On the spot where this majestic cathedral now stands, the Romans had built a temple to Jupiter, which was followed by a Christian basilica and then a Romanesque church (the Cathedral of St. Etienne, founded by Childebert in 528). Maurice de Sully, bishop of Paris, decided to build a new cathedral for the expanding population, dedicated to the Virgin Mary. Although construction started in 1163, it was not completed until roughly 180 years later in about 1345. Built in an age of illiteracy, the cathedral retells the stories of the Bible in its portals, paintings, and stained glass. On completion of the choir in 1183, work was begun on the nave and completed c.1208, followed by the west front and towers c.1225-1250. A series of chapels were added to the nave during the period 1235-50, and to the apse during 1296-1330 (Pierre de Chelles and Jean Ravy). Transept crossings were built in 1250-67 by Jean de Chelles and Pierre de Montreuil (also the architect of the Sainte-Chapelle). The six-part rib vaults and the thin elements articulating the wall are typically Early Gothic. The appearance of the interior was radically transformed in the mid-13th century when the small clerestory windows typical of the Early Gothic style were enlarged downward and filled with High Gothic tracery. The enlargement caused the removal of the unusual triforium. Originally the interior had the four-story elevation common to many Early Gothic churches, and the triforium had large round openings instead of the normal arcades. Seen from the exterior, the building appears to be High Gothic. Notable features include the profusion of colonnettes and tracery screens, the horizontal and vertical ordering of the facades, the imposing size of the rose windows, and the delicacy of the flying buttresses. Many of the cathedral’s other treasures were either destroyed or plundered – only the great bells avoided being melted down. Revolutionaries dedicated the cathedral first to the cult of Reason, and then to the cult of the Supreme being. The church interior was used as a warehouse for the storage of food. During the 19th century, writer Victor Hugo and artists such as Ingres called attention to the dangerous state of disrepair into which the Cathedral had fallen, thus raising a new awareness of its artistic value. Whereas 18th-century neoclassicists had virtually ignored the creations of the Middle Ages – and had even replaced the stained glass at Notre-Dame with normal glass – the 19th-century romantics saw that remote period with new eyes and greater appreciation. 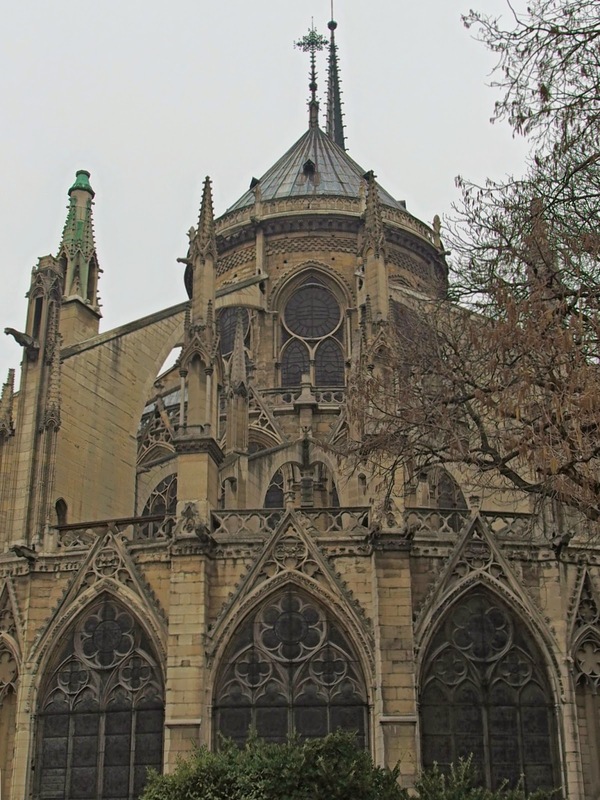 Besides bringing new life to the rose windows and the statues, Viollet-le-Duc combined scientific research with his own very personal creative ideas and designed Notre-Dame’s spire, a new feature of the building, and the sacristy. Also in the 19th century, Baron Haussmann (Napoléon III’s urban planner) evicted those Parisians whose houses cluttered the Cathedral’s vicinity. The houses were torn down to permit better views of the edifice. During the Commune of 1871, the Cathedral was nearly burned by the Communards – and some accounts suggest that indeed a huge mound of chairs was set on fire in its interior. Whatever happened, Notre-Dame survived the Commune essentially unscathed. Yet it is the art of Notre-Dame, rather than its history, that still awes. The west front contains 28 statues representing the monarchs of Judea and Israel. The three portals depict, from left to right, the Last Judgment; the Madonna and Child; St. Anne, the Virgin’s mother; and Mary’s youth until the birth of Jesus. The interior, with its slender, graceful columns, is impressive – there is room for as many as 6,000 worshipers. The three rose windows – to the west, north, and south – are masterful, their colors a glory to behold on a sunny day. In 1768, geographers decided that all distances in France would be measured from Notre-Dame. One hundred and seventy-six years later, when Paris was liberated during World War II, General de Gaulle rushed to the cathedral after his return, to pray in thanksgiving. 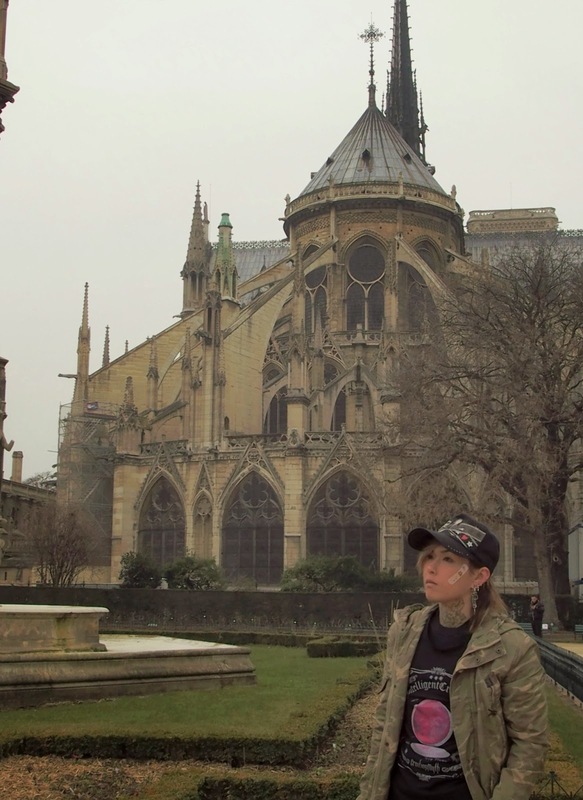 In many ways, Notre-Dame was and still is the center of France. Excavations under the parvis have revealed traces of Notre-Dame’s history from Gallo-Roman times to the 19th century. Vestiges of Roman ramparts, rooms heated by hypocaust (an ancient system with underground furnaces and tile flues), medieval cellars, and the foundations of a foundling hospital are displayed, as are several fascinating photographs of the surrounding neighborhood before Baron Haussmann’s renovations. From 1991, a 10 year program of general maintenance and restoration was initiated. While work continues, sections of the structure are likely to be shrouded by scaffolds. If you managed to see this, congratulations! You’ve read all the way to the very end! Go celebrate by getting yourself a delicious sandwich!